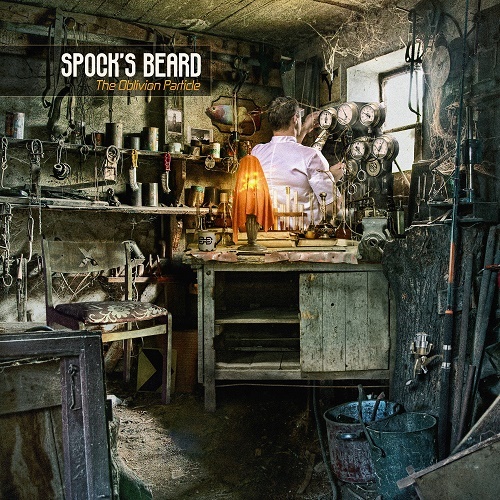 SPOCK’S BEARD is an American progressive rock/metal band who have been around since 1992. They’ve released 12 albums, the first 6 of which with co-founder and now famous on his own Neal Morse, and the most recent 2 have featured vocals from ENCHANT’s Ted Leonard. They play the sort of keyboard heavy, virtuoso laden, derivative prog rock that’s been slowly developing for 40 years. Technically challenging but musically unambitious. It’s not the worst crime a band can commit and SPOCK’S BEARD is certainly capable of turning it into a good product, but it’ll never impress me past having a reasonably pleasant experience listening to the music. There’s an active debate as to whether this sort of music even qualifies as progressive or not. It’s certainly in the style of the original progressive rock bands, every instrument is putting on a technical performance, and the music uses those complexities to break out of traditional song structure, and deliver more intricate melodies and rhythms. But it doesn’t actually push any boundaries, or incorporate ideas and styles that I haven’t heard a million times before. As far as distinguishing elements, The Oblivion Particle (out now, InsideOut Music) has more acoustic guitar than I’m used to hearing, and Ted Leonard’s voice is almost always great. At times, the band will incorporate heavier riffs than their peers in derivative prog land, and they’re all very good at shredding. Most of the music sounds fairly ‘major key,’ although I’d be shocked if any of it was in actual outright major key, but it’s got a generally ‘pleasant’ sound to it. As I understand it, this development is a more recent phenomenon in the band’s history, and many associate it with the arrival of Leonard as the band’s vocalist. Not being terrifically familiar with the band’s back catalog, I won’t speak to the controversy of whether or not this is a good thing. It’s not a sound I actively look for, but the execution is great. In particular, I’m a fan of “The Center Line,” and “A Better Way To Fly,” both of which use faster, more direct rhythms to great affect. Conversely, parts of “Minion” and “Get Out While You Can,” come off as really boring, because without that rhythmic backbone, all the technicality and virtuosity just sort of gets lost in a vague musical soup. There’s nothing clearly wrong with the execution on The Oblivion Particle, but there’s not a whole lot going for it either. Leonard’s syrupy vocals on top of relatively plodding, borderline soft-rock influenced prog just isn’t an appealing concept to begin with. There are a few moments where the band manages to soar, and the rest is merely tolerable.